The following articles and tips have been sent in by ROARS members, and are intended to pass on advice and tips to fellow radio amateurs in order to improve their stations. This could also include aerial designs for the small garden – earthing problems – circuit designs for morse keys. Have you ever had the misfortune to need three hands to solder a PL259 coaxial connector, as there was no vice available. 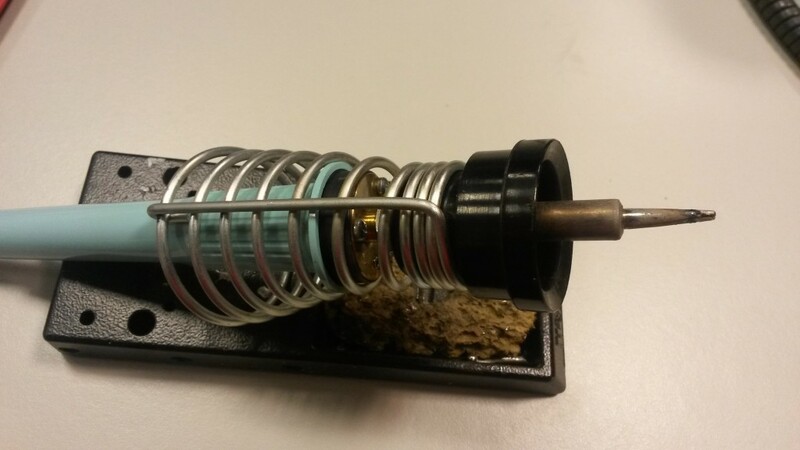 Try this technique as shown in the photograph below – place the soldering iron in its holder upside down – you now have a stable base to be able to use your two hands to solder the connector with no problem.